At the Tucker Lacrosse Lil' Laxers Evening Camp, girls ages 5-11 learn the fundamental skills of lacrosse while building confidence, encouraging sportsmanship, and promoting teamwork. Enjoy a fantastic summer camp experience in the comfort of an air-conditioned turf facility! This camp is full of fun games, essential drills, positive competition, high-fives, and dance moves... it's packed with energy and fun! Coach Janine Tucker and her staff try to ensure that each Lil' Laxer leaves this camp feeling inspired and motivated! • and having lots of FUN! 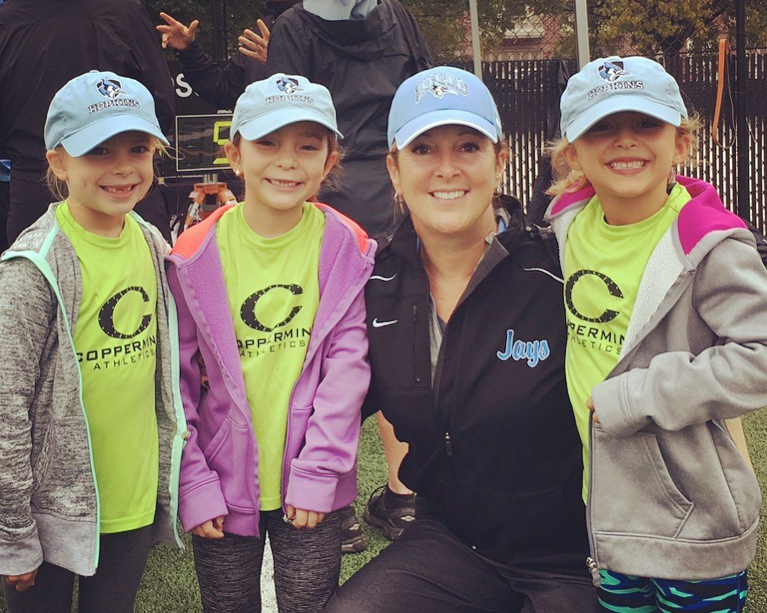 Johns Hopkins University Head Coach Janine Tucker has assembled a staff of coaches that includes members from the nationally ranked Johns Hopkins lacrosse team. All are dedicated to providing campers with great individual and team instruction as well as helping campers build confidence to transition to the high school game. Baltimore, MD 21210 Map It!